What is otoplasty and ear reconstruction like? If you are considering changing the shape, position, or the proportion of your ear, an otoplasty/ear reconstruction may be a proper procedure. An otoplasty/ear reconstruction procedure performed in our certified facilities in Cleveland, OH can also correct ear deformities that were present at birth. It can also repair ear structures that were damaged due to injuries or trauma. Otoplasty is done to improve the shape of a prominent or deformed ear. 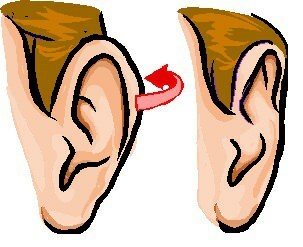 Prominent ear is the most common reason for this surgery. Surgery usually takes about 1 hour on each side and can be done under general or local anesthesia. Dr. Ali Totonchi understands how this affects a person’s appearance and self-esteem so it is very important that proper treatment be given to patients with ear deformities. Ear reconstruction for patients with total or partial missing ear is a more complex surgery, that is done in multiple stages. Why should patients consider an otoplasty/ear reconstruction? Patients in Cleveland, OH have their own stories to tell about their experience with their ear deformities and patients get an otoplasty/ear reconstruction for a number of reasons. Most often for adults, it is more of an issue of aesthetics and the desire to improve or restore a positive self-image. Parents of patients with ear deformities prefer to have their children get an otoplasty/ear reconstruction while the child is still an infant or toddler due to fear of the child being teased by their peers, but Westlake Cosmetic Surgeon Dr. Ali Totonchi recommends that the procedure be delayed until the child is 5 or 6 years of age in order to allow for the full development of the ear cartilage. Patients with damaged ears due to accident or trauma can benefit from an otoplasty/ear reconstruction to restore the normal appearance of their ears. What can patients expect after an otoplasty/ear reconstruction? Otoplasty: this surgery is done in outpatient bases, each side takes about 45 minutes to one hour. Patients go home the same day, this surgery can be easily performed in combination with other procedures. After surgery, Dr. Totonchi recommends a head wrap or headband up to 4 week, especially in children. Regular activities can be resumed as soon as the effects of the anesthesia has worn off. An otoplasty procedure is a very safe and effective treatment for patients and can help achieve dramatic and very promising changes in appearance and confidence. Ear reconstruction: This type of surgery is more appropriate for the patients who have totally or partially missing ear. Dr. Totonchi’s preferred method is to use cartilage graft from patient’s chest to reconstruct the ear framework. Reconstruction is performed in multiple stages (usually 3-5), after first stage patients stay in the hospital for 2-4 days, other stages are in and out procedures. The best time for the surgery is 6-9 years of age, and the entire process may take up to one year to complete ear reconstruction.